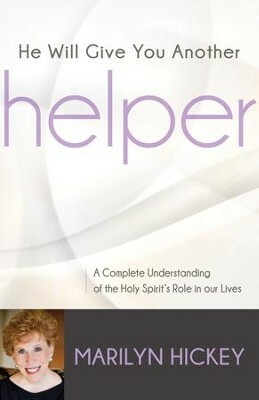 Marilyn Hickey presents a comprehensive manual, guiding the believer and non-believer alike into a deeper Spirit-filled walk with God. Practical in nature, Marilyn Hickey illustrates the role of the Holy Spirit and relates His function in the believer's life today. Filled with new and refreshing insights into the move of the Spirit in today's Church, He Will Give You Another Helper will captivate the interest of those pursuing God. Marilyn Hickey presents a comprehensive manual, guiding the believer and non-believer alike into a deeper Spirit-filled walk with God. Practical in nature, Marilyn Hickey illustrates the role of the Holy Spirit and relates His function in the believer's life today. Filled with new and refreshing insights into the move of the Spirit in today's Church, this book will captivate the interest of those pursuing God. I'm the author/artist and I want to review He Will Give You Another Helper: A Complete Understanding of the Holy Spirit's Role in Our Lives - eBook.